Bartlett City Schools is pleased to announce that Thomas (Tom) McClellan, Jr. has been selected as the new principal for Bon Lin Elementary School beginning with the 2018-2019 academic year. 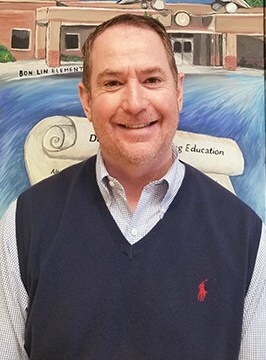 Mr. McClellan holds a Master’s degree in Educational Psychology from the University of Memphis and has been serving as an assistant principal at Bon Lin Elementary School since 2006. His educational experience spans seventeen years when he started as a teacher and includes being an assistant principal at both the middle and high school levels. Mr. McClellan replaces Kasandra Berry, who is retiring from Bartlett City Schools at the end of the current academic year. Ms. Berry has served thirty years as an educator with the past eight years as the principal at Bon Lin Elementary. We thank Ms. Berry for her leadership and the many successes she has overseen at Bon Lin Elementary, which includes the school being named a Reward School by the Tennessee Department of Education.